The Ajman International Fair for Education and Training has been launched on Tuesday, March 8, 2016 in the presence of His Highness Sheikh Humaid bin Rashid Al Nuaimi, Ruler of Ajman. 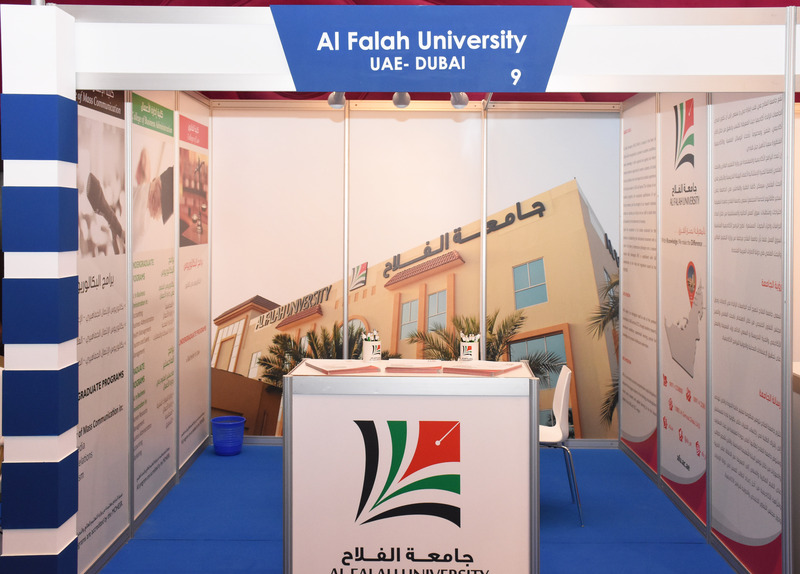 Al Falah University is an active participant in the fair with its representatives providing service and information to all prospective students and organizations interested. Any information about the university can be accessed by approaching our representatives as well as through our broachers available at the booth. Any comments, suggestions and feedback will be highly appreciated and conveyed to the executive management. The Ajman International Fair for Education and Training will continue till the 10 March 2016, in the Council Chamber of the UAE's Hospitality Center.